Important question, apropos of nothing: Which food is creepiest if you add teeth? Parker School District in Parker, South Dakota announced the closing of school today (for holy-crap-it’s-so-cold reasons) via this hot dog with teeth, who claims to have had a conversation with superintendent Dr. Donovan G. DeBoer, who by complete coincidence looks a lot like this talking hot dog. It contains a few (but if we’re honest, not enough) hot dog-related dad jokes (he’s not a cold dog!). It is informative, ridiculous, and miraculous, because a hot dog is speaking. We kid, we kid. 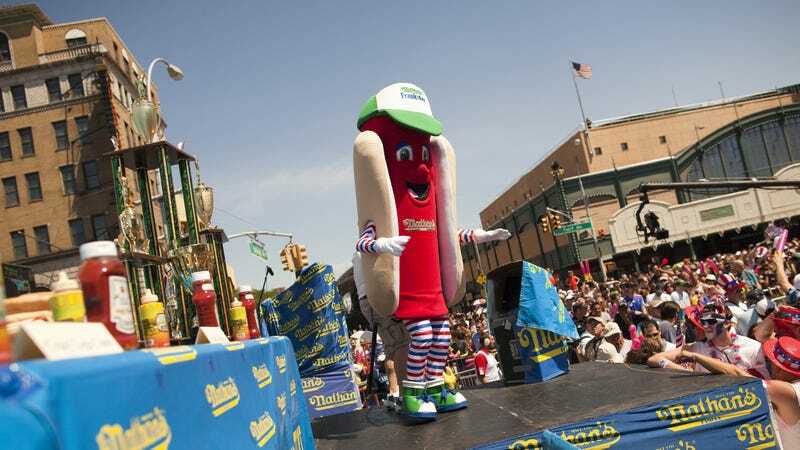 But we’d like to share a few brief thoughts and questions about this talking hot dog. Where do you think Dr. DeBoer’s kids are sitting on the “God, DAD, you are SO EMBARRASSING” scale? 86 out of 100? Is there any purer example of a parent discovering an app and just going for it on this earth? This is mom-discovers-emojis, in video form. Seriously, what’s the food that becomes most disconcerting when teeth are added? Is the corn dog line a reference to the dad jokes? Because I’m into it. Those kids are definitely not baking cakes and just as definitely playing Fortnite. You know what I love most about this video? It practically screams, “Holy crap, it’s so cold that I’m going a little bit stir crazy, what can I do to amuse myself?” Me, I stocked up on stuff to bake a cake (because I don’t play Fortnite) and am mainlining some TV I have to watch for work. But it could just have easily been a sudden fascination with SnapChat. Is this sentient school closing announcer a sandwich? Stay warm out there, cold dogs. Hey Taraji P. Henson, is a hot dog a sandwich? Hey Richard Dreyfuss, is a hot dog a sandwich? Hey Billy Porter, is a hot dog a sandwich? Hey Chelsea Peretti, is a hot dog a sandwich? Hey Ken Jeong, is a hot dog a sandwich? Hey Tom Felton, is a hot dog a sandwich?